$3.75 per linear foot + free shipping. 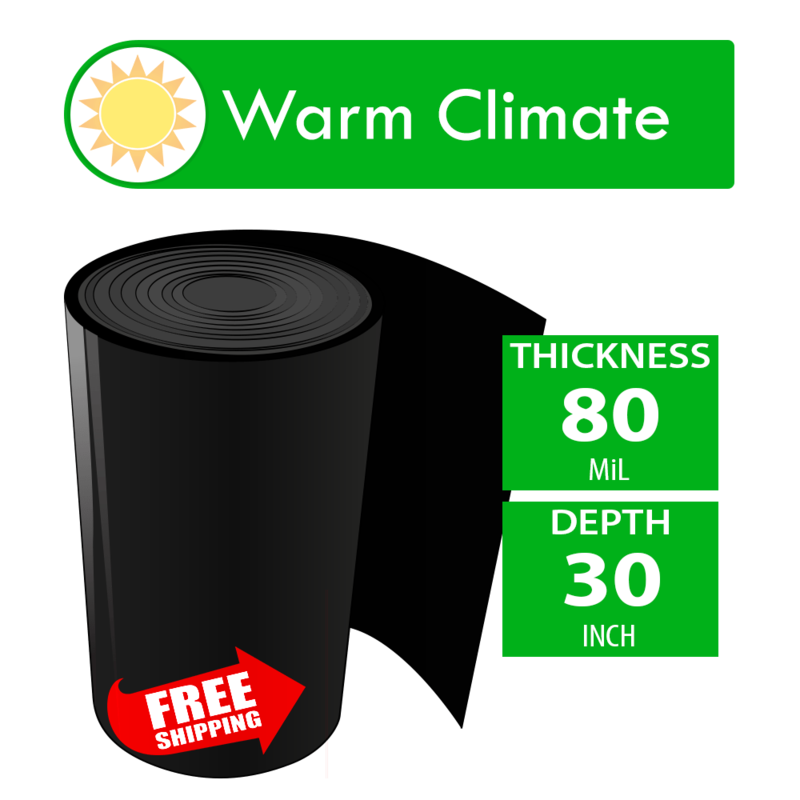 80 mil is effective for warm to hot climates with medium to large size bamboo. Protective side is chrome rolled to provide a better rhizome deflection surface. 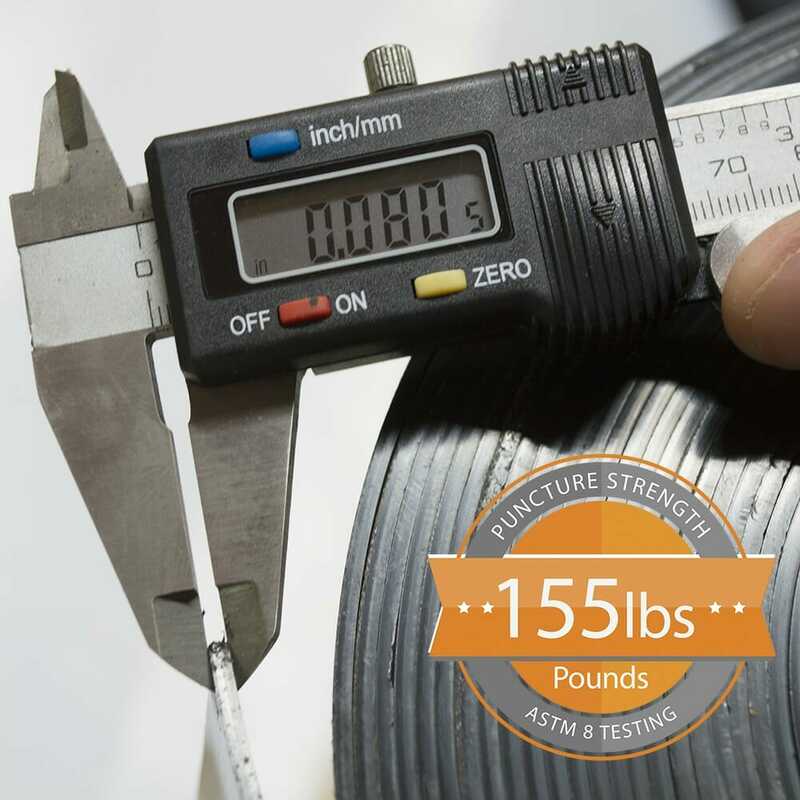 80 mil (5/64th inch or 2 mm) material thickness that provides 155 pound-force puncture resistance. Order within 21 hours 3 mins and your order will ship Tomorrow! Bamboo Barrier is a diversion type control method with a smooth surface on the side facing your bamboo planting. It is made from HDPE, high-density polyethylene. Superior to metals because it will not rust and easier to install. 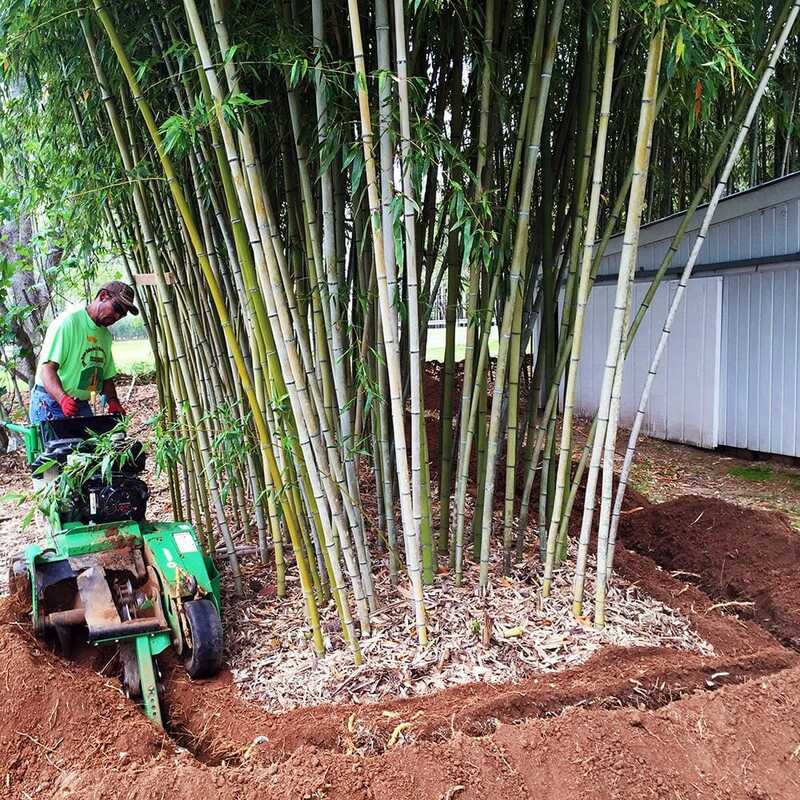 Bamboo roots typically travel in the first 12 inches of topsoil. Barrier are sold in 24″, 30″, and 36″ depths to provide extra protection from stray growth. The polyethylene barrier is made from post industrial recycled regrind material when possible, in the USA. Bamboo Shield is impermeable to water as well which acts as a water barrier. 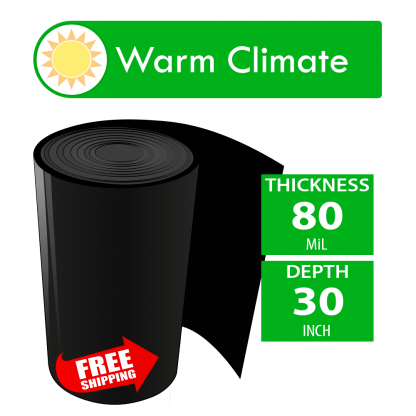 Plastic thinner than 30 mil has been shown to crack when ground temperatures 24 inches deep get below -15 degrees F. This would be extremely cold and the thickness greater than 30 mil does great at handling very cold temperatures without damage. The plastic barrier has a better chance not cracking when frozen like other materials. Even concrete will freeze and crack over the years. Driveways are poured 4 to 6 inches deep to allow heavy vehicles passage and parking. Seldom are driveways seen without cracks. Concrete was used many years ago ( Byron Agriculture Station in Byron, Georgia) as a below ground barrier system and found to crack below the frost line allowing bamboo rhizomes to emerge through to the other side. 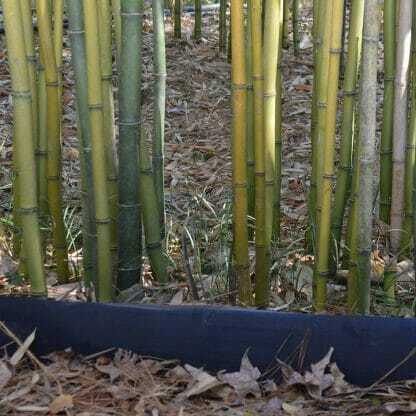 One of the many myths of bamboo is its ability to crack solid concrete. While a clumping type bamboo may do this, given enough years, a running type bamboo just runs and does not usually apply the outward pressure of a clumping bamboo or hardwood tree. Bamboo is not magical, but persistent and its root system will eventually find cracks in concrete and emerge through them. If the environment ( sunlight & soil ) is suitable once it emerges the bamboo will grow if not terminated. The rhizome ( root ) when growing is very soft and flexible and will always turn when it encounters something harder. Furthermore, installation of a barrier will accelerate the grow of a bamboo screen. The growth will be more dense because of the confinements and stimulate the screening effect. It seems tough enough to block the roots of the cottonwood growing near the garden bed. They were right on top of everything. Wanted to make sure I received my product and it came on time & in awesome condition. Product shipped and received quickly. As ordered. No problems. Item shipped quickly, great experience. Bamboo barrier material is installed vertically in the ground. 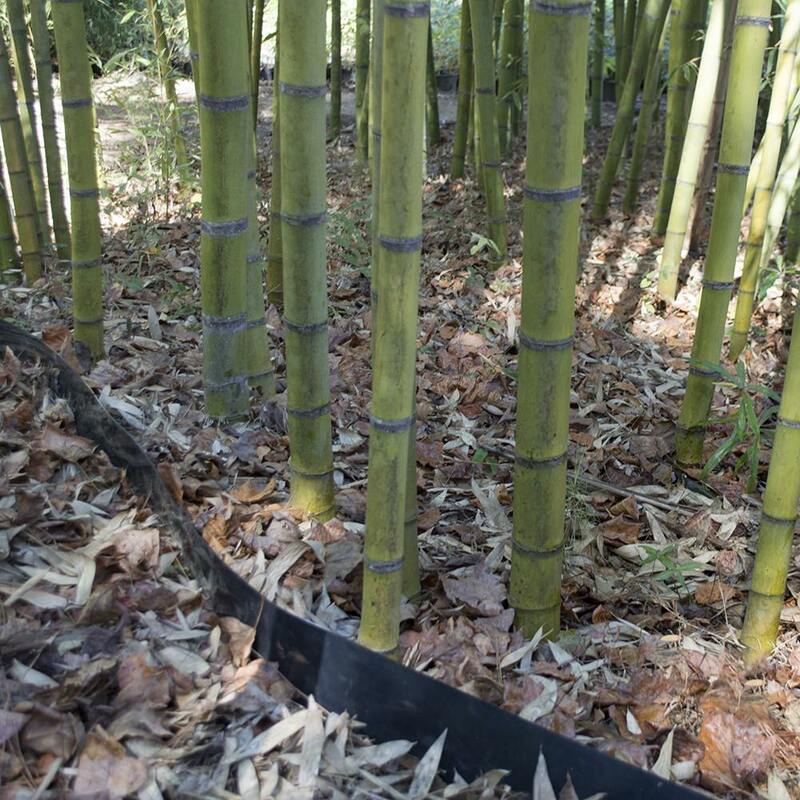 Bamboo’s root system runs parallel to the ground, typically in the first 3-12 inches of the soil. Dependent upon climate zone, species, soil composition, and age of bamboo grove, some rhizomes can go a little deeper. 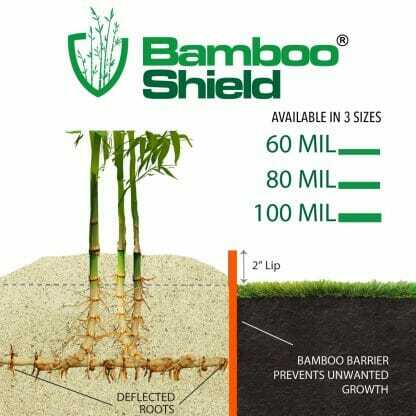 The Bamboo Shield is installed in the trench with the shiny side towards the bamboo. It should be angled slightly outward so the bottom is closer and the top is farther away from the bamboo. Leave a 2” lip exposed above ground level. Which barrier is right for me?